Last week as I was driving through the sweltering Nicaraguan countryside in the southwestern department of Rivas, a convoy of soldiers traveling at midday on the Inter-American Highway caught my eye. It’s not unusual to see troop movements in a Central American country with an army, but these guys looked liked they were on assignment. 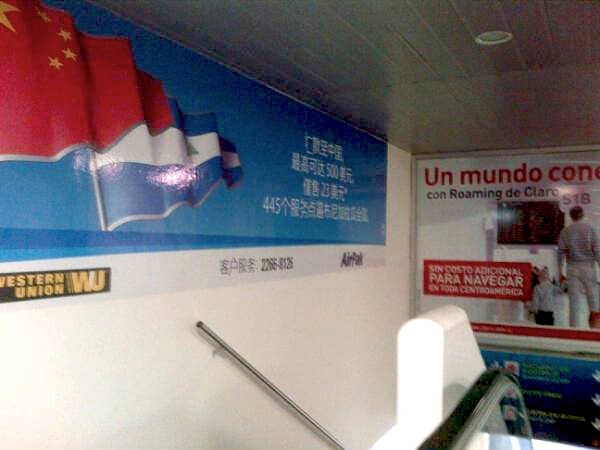 A check of the local social media rumor mill revealed chatter that police and soldiers were indeed moving about Rivas in the presence of “chinos,” and it was somehow related to the Gran Canal project. 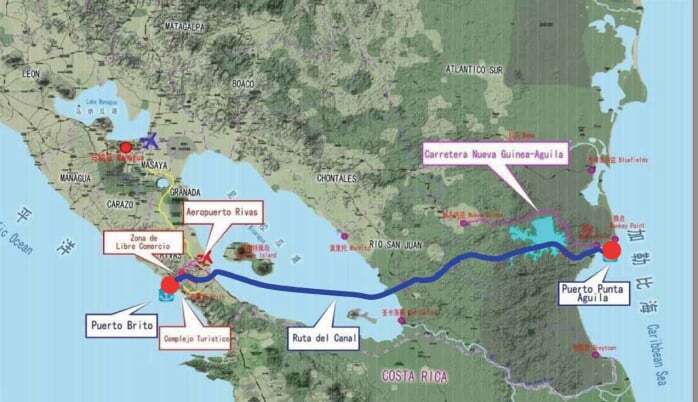 Rivas is ground zero for President Daniel Ortega’s ambitious $40 billion, 278-kilometer interoceanic canal. 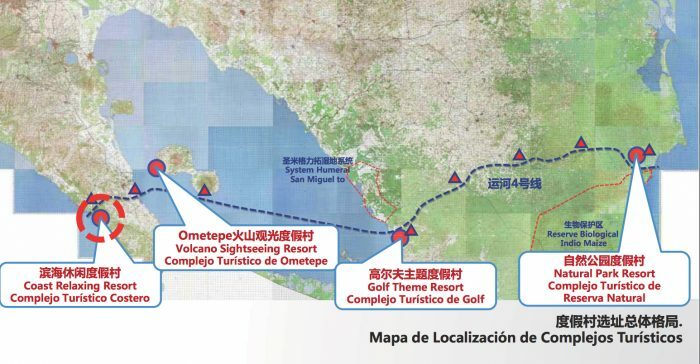 The canal promises to make Nicaragua — the second poorest nation in the Americas — “one of the richest countries in Central America,” according to plans published by the China Railway Siyuan Survey and Design Group Co., Ltd., and apparently approved by the secretive Hong Kong Nicaragua Development company, or HKND, which is tasked with designing and building the canal. The Pacific point of entry is the mouth of the Brito River, in Rivas, where a large petroleum port and free trade zone are scheduled to be built. Not far from that, a tourism complex is being planned. 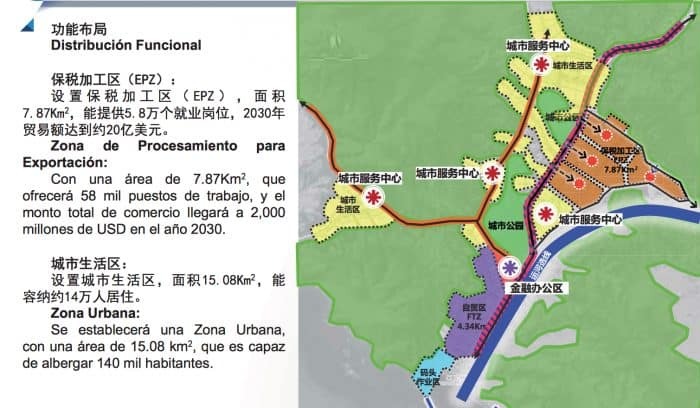 The Brito free trade zone, according to the plans, will cover approximately 29 square kilometers and provide residential housing space for 40,000 people and create 113,000 jobs. Three months remain before the start of construction on the massive infrastructure project that will profoundly change the landscape of this volcanic isthmus. Skeptics have asked a lot of questions about the company HKND and the canal. Those inquiries often are met with glaring silence or vaguely worded company press releases. But last week, Rivas residents got a taste of the future – and they didn’t seem to like it very much. Those soldiers I saw turned out to be armed escorts, along with police, for Chinese land surveyors from the Changjiang Institute of Survey, Planning, Design and Research Co., Ltd., one of the Asian giant’s top state-owned engineering firms. The same company built the Three Gorges hydropower project on the Yangtze River in China. The world’s largest hydroelectric dam set the record for number of displaced people (1.2 million) and cities and towns flooded (13 cities, 140 towns, 1,350 villages), according to the environmental group International Rivers, and resulted in “floating archipelagoes of garbage,” according to The New York Times. The weekly TV program “Esta Semana,” hosted by Carlos F. Chamorro of the news magazine Confidencial, produced a recent investigation on the land surveying. Chamorro, who is highly critical of the Ortega regime and its canal plans, sent reporter Wilfredo Miranda to Rivas to take a closer look at what’s going on (see the video above, in Spanish). There, Confidencial found residents who felt violated and intimidated by soldiers, police and Chinese company representatives. 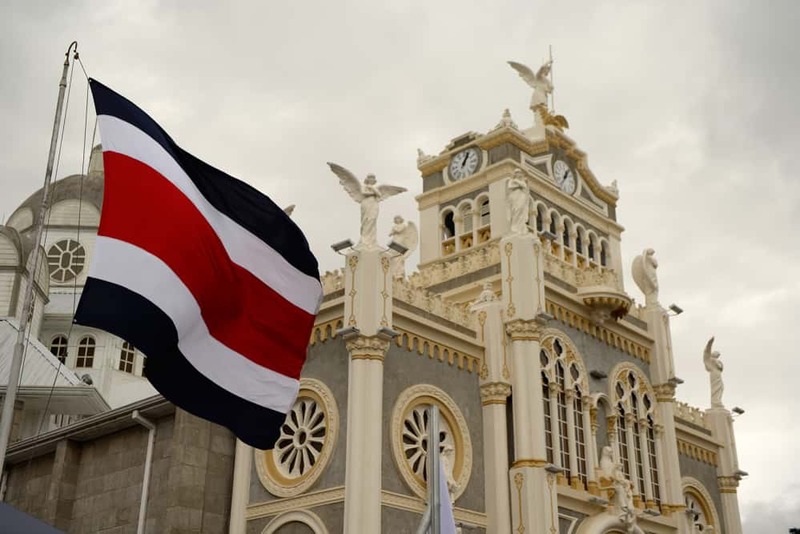 Land surveyors arrived several times and entered properties without permission, Rodrigo Velásquez, a community organizer in Orejuelo, a village on the shores of Lake Nicaragua, told Confidencial. “They’re obligating residents to sign.” It’s unclear what exactly residents are being asked to sign. The slips of paper, in both Mandarin and Spanish, could be permission waivers for surveyors to enter their properties. Or their purpose could be more nefarious. Residents had no idea what was happening. The Chinese inspectors asked to see land titles and deeds, offering to pay “double” the cadastral value of locals’ homes and promising to relocate the occupants, although they didn’t say where, when or how. 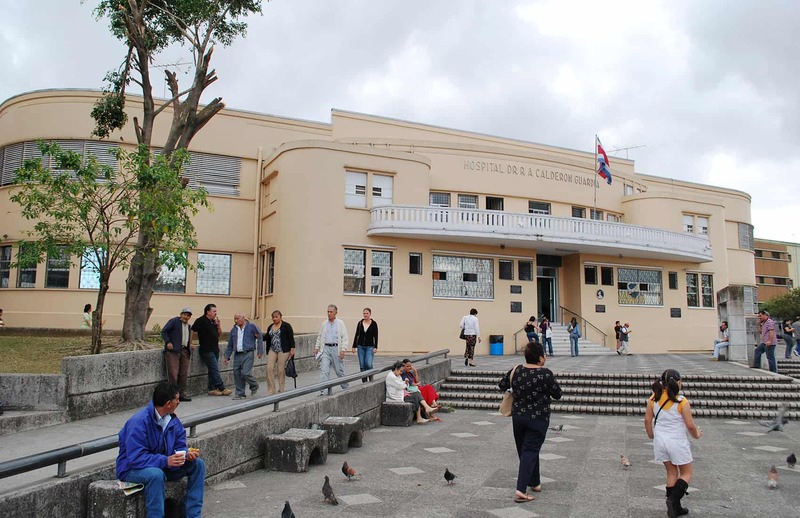 Octavio Ortega, president of a foundation of Rivas municipalities called FUNDEMAR, told Confidencial that the announcement of the canal’s route has caused wild speculation and the skyrocketing of the cost of land – up to 10 times normal market prices, in some cases. “You can’t even imagine,” Octavio Ortega said. “With what money are these people going to be able to afford to relocate?” Maybe they’ll find some of that affordable housing in the Brito free trade zone, but no one really knows because the company isn’t talking. Neither is Daniel Ortega. A few days after the surveyors’ confrontation with residents, the company ERM, which is tasked with conducting environmental impact assessments for the project, held a closed-door meeting with a select group of locals. But they didn’t extend invitations to everyone in the area who will be affected by looming expropriations. A letter shown in the Confidencial report states the purpose of the meeting was to conduct a “dialogue and an exchange of ideas regarding the social and economic reality of the area with a small group of invitees who have been selected for the role they play in the community. … For this reason, we ask you not to extend this invitation to other members of the community because it would be impossible to comply with the methodology or the foreseen goals with a large group.” A Confidencial reporter who tried to attend the meeting was asked to leave. The testimonials in this report contradict what the Chinese company HKND says, in that their employees will only enter properties after obtaining expressed written consent. 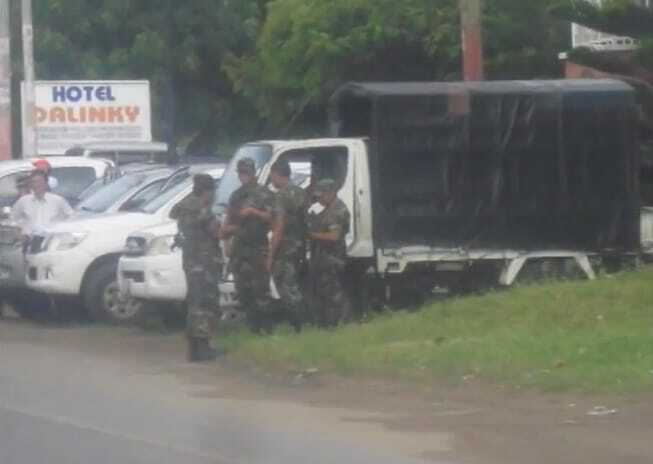 Evidently they are committing abuses that are aggravated by the presence of the police and the military, who shouldn’t be participating in an activity that is supposed to be strictly administrative. The message, to me, that they’re conveying to the people is one of force and intimidation. But the problem at the heart here is that the government continues putting “la carreta delante de los bueyes” [the cart before the horse]. Before threatening expropriations, they should first present the financial, commercial and environmental studies that show the viability of this canal project. And they should present a detailed timetable of how they will execute this project. Because the only thing they’re doing now is generating more uncertainty among the people while conducting surveys for expropriations – which by the way, are based on an unconstitutional law that doesn’t guarantee that landowners will be paid market value for their properties. And that’s why HKND has no response to these questions. While the promise of converting the region’s poorest country into one of the richest is enticing and a worthwhile goal, what’s troubling is the profound lack of transparency regarding the process. In addition, the long-term social and environmental consequences – not to mention machtpolitik, sovereignty and even identity concerns – of such an elephantine effort are at the very least worthy of discussion and robust debate. Yet, with little information, more than half of the country’s citizens favor the canal, saying it will “help the economy, promote tourism, generate jobs and improve the country’s image,” and only one in 10 oppose it (that number might increase with more land surveys). Even my cab driver, a young, edgy, outspoken man in his 20s who lives near the Costa Rican border, thinks the canal will finally restore the glory the Nicaraguan nation deserves (and put Panama to shame, as he described it). In comparison, if you want to find out the environmental impact and mitigation efforts of the ongoing $5.25 billion Panama Canal expansion project, all 11 chapters of the assessment are posted online for anyone to peruse. What we do know about the Gran Canal de Nicaragua is that it will cut across Lake Nicaragua (Lago Cocibolca), where Ometepe is located, the largest freshwater lake in Central America and an important source of drinking water. 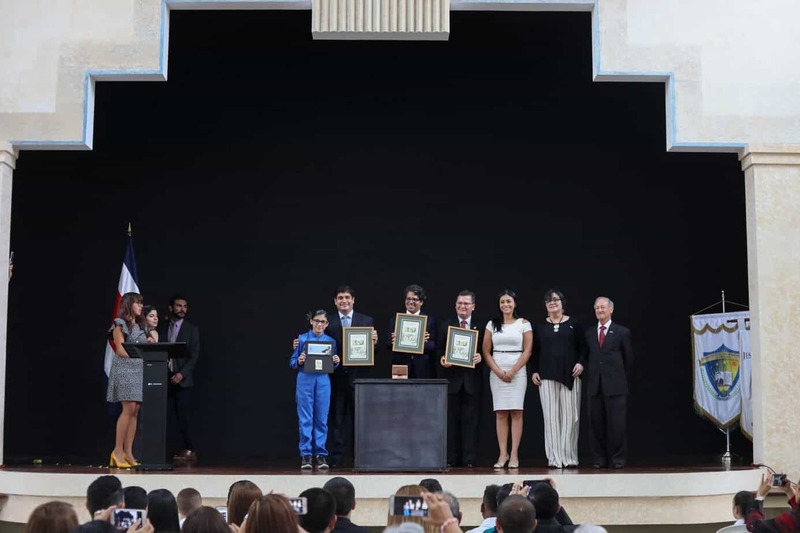 In 2008, Daniel Ortega – under CAFTA’s Environmental Cooperation Program – asked the U.S. Environmental Protection Agency to help clean up the lake and deal with its sewage and wastewater treatment problems. So what will be the environmental impact on the lake when 5,100 ships – including 400,000-ton grain carriers and 320,000-ton petroleum tankers – traverse it annually? What are the potential consequences and mitigation plans in place if one of those fuel ships has an accident? According to studies by specialists from the Institute of Geology at China’s Earthquake Administration, [Nicaragua’s] volcanoes will not negatively affect the normal operation of the Gran Canal of Nicaragua. With the adoption of the most advanced international design theories, and adequate construction measures, it is guaranteed that the canal will not suffer damages in the event of an earthquake, nor will [an earthquake] negatively affect the project. 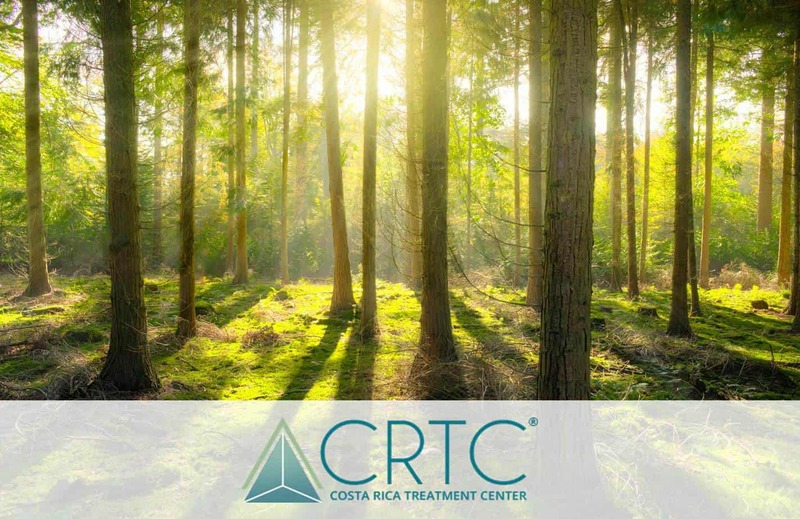 The CRCC also states that since 2013, several experts have been conducting field studies of the route’s topography, geology and hydrology, resulting in detailed studies of the canal route. Shouldn’t those studies be shared with the public? 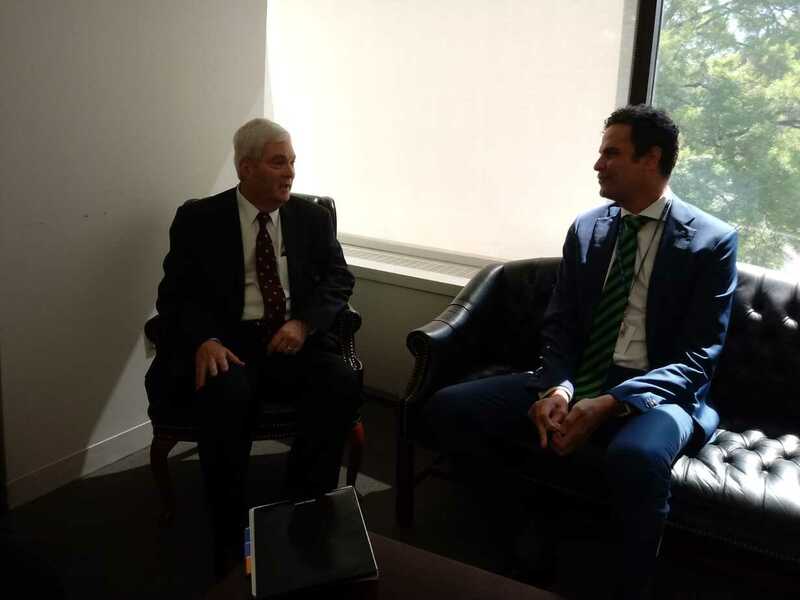 Costa Rican Foreign Minister Manuel González – whose country shares a border with Nicaragua on the Río San Juan, which joins Lake Nicaragua to the Caribbean Sea – thinks so. 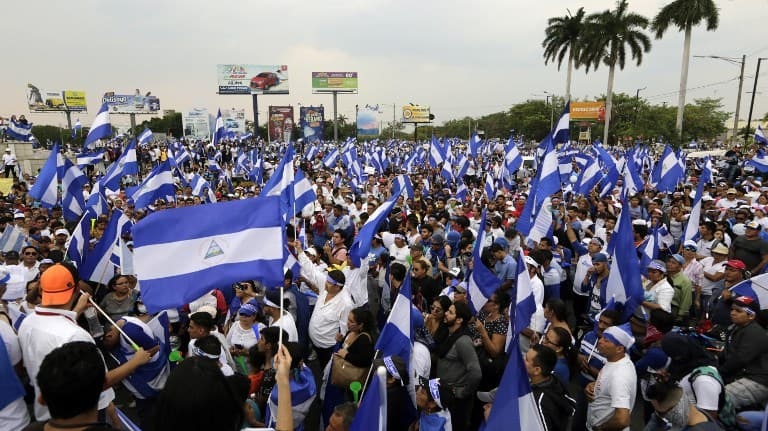 Plus, some say the Panama Canal expansion will render Nicaragua’s canal irrelevant. So why build it all? What is the implementation schedule and when will the feasibility studies including the technical, economic and environmental impact of the canal be finished and disclosed? Will these studies, paid by HKND, be subjected to the scrutiny of impartial national and international experts? If these studies are still ongoing, and therefore the viability of the project and its environmental impact is still unknown, how can they affirm that the construction of the canal will start in December? What will be the environmental impact of dredging Lake Nicaragua and how will its excavation and dredging affect the country’s most important strategic water resources? Who will oversee our national interests given the fact that the Ortega-created Grand Canal Authority has demonstrated little authority and no autonomy? Those are some pretty hefty – yet reasonable – questions to ask. So when can we expect some answers? Or will they just come to us, out of the blue, on a hot, sunny day while driving down the Inter-American Highway? UPDATE: Thanks to our inquisitive friend Bill H., we translated the Mandarin writing on the wall at Managua’s airport says. It says you can send money to China up to $500 for a $23 fee. There are 445 service venues in the district. Guess they’re expecting a lot of Chinese workers to walk through those airport gates and a large demand for money transfers.